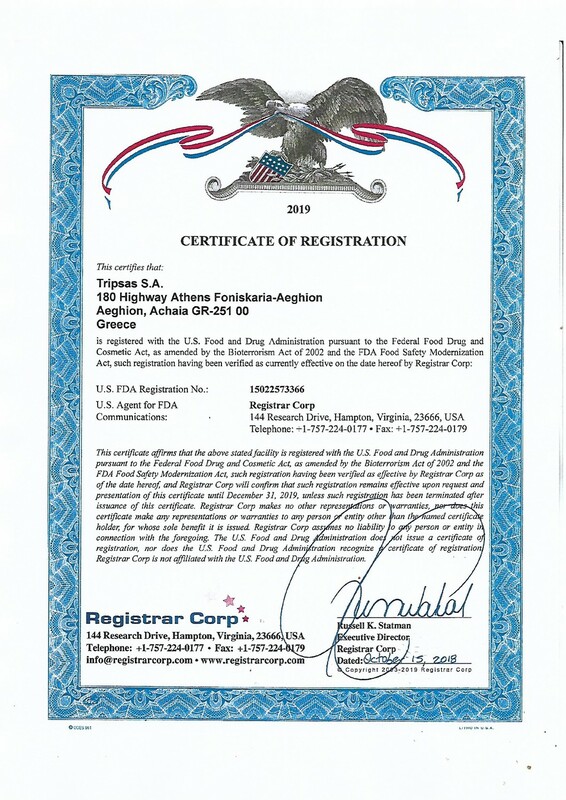 In the past few years consumers have become increasingly attentive to receiving additional information on the quality and origin of food products , which is why Tripsas has decided to operate in "Quality Assurance" terms. In addition customers request that the products they purchase are always more secure and in accordance with the regulations established by law or by specific contracts and correspond to the expectations of consumers. 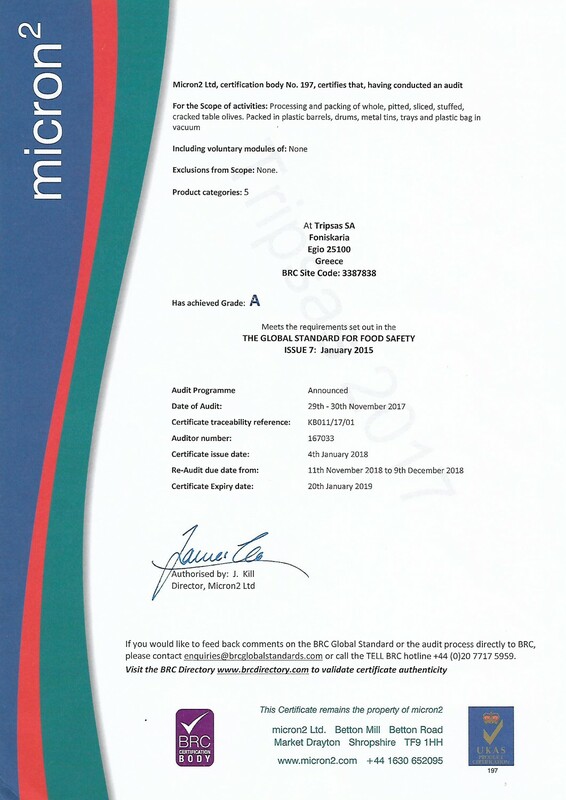 Our company, since 2001 has adopted a self controlling system for hygiene (HACCP) in compliance with the laws in force which allows the monitoring of the critical points and stages of the production process, therefore preventing the risks of physical-chemical and microbiological contamination of the products. The checks and quality controls as a part of this system, are carried out by a qualified technical staff in the well equipped in-house laboratory. - keeps under control all the aspects that can have an impact not only on the quality of the products but also on business performance. - Identifies improvement actions to better meet and satisfy the needs and requests of customers. 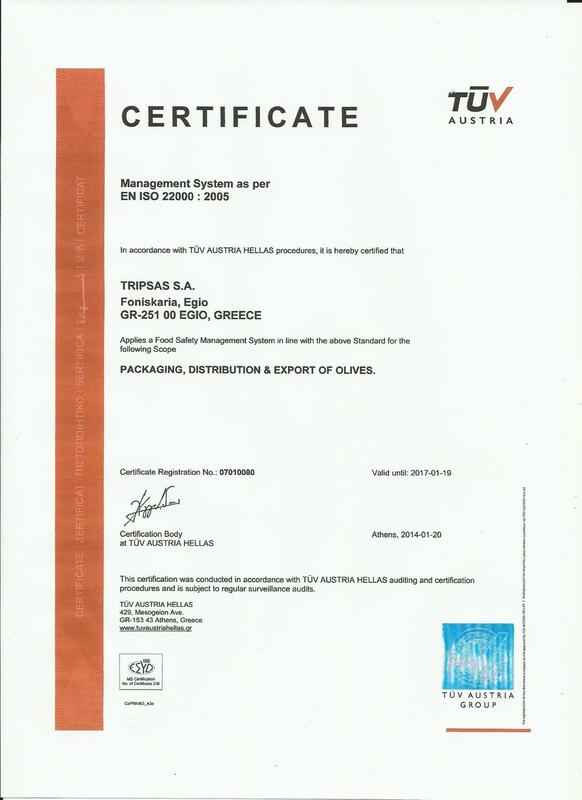 Since 2010 the company is also certified with ISO 22000:2005 and BRC. thereby creating a comprehensive, globally recognized, food safety standard. The BRC (British Retail Consortium) is a trade association, representing all forms of retailers in the United Kingdom, for which quality standards with the same name (BRC Global Standards) were created for the need to standardize the requisites requested by retail distribution. 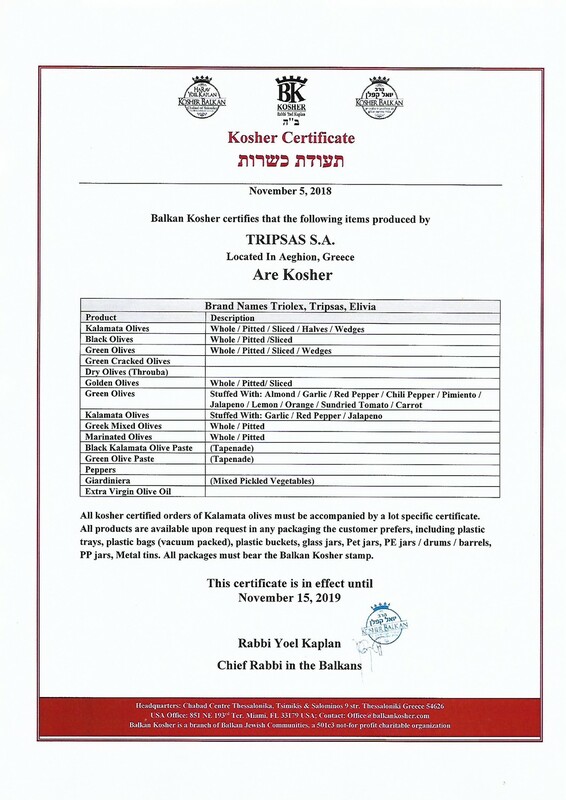 Recently our company has been certified with KOSHER and is also in the process of IFS certification.